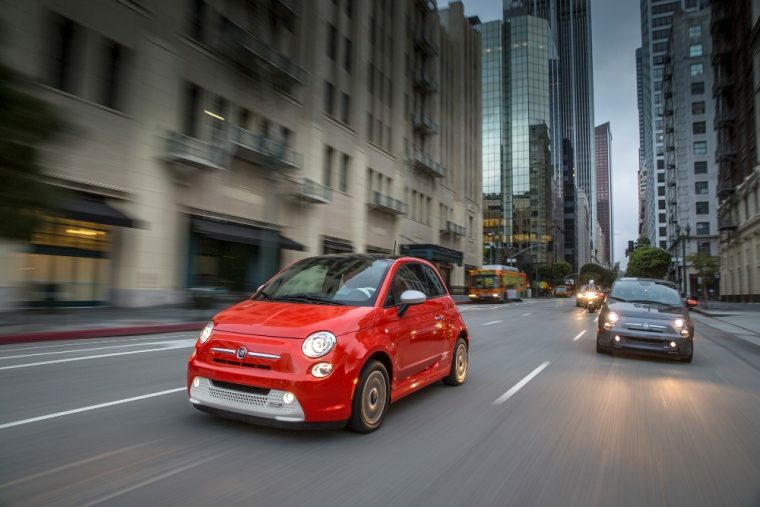 The 2016 Fiat 500e is an electric-powered hatchback with a starting MSRP of $32,300. The Fiat 500e is currently sold only in California and Oregon. The 2016 Fiat 500e competes in the same segment as the Nissan Leaf, Chevy Spark EV, and Kia Soul EV. 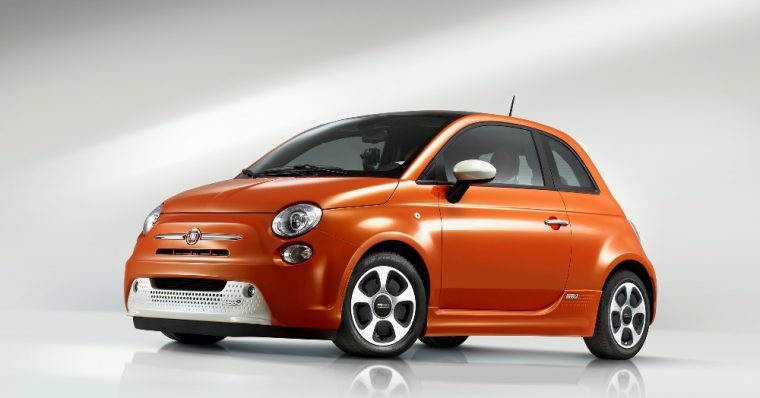 What’s new for the 2016 Fiat 500e? The 2016 Fiat 500e comes with Chrysler’s Uconnect infotainment system with navigation, which replaces the TomTom navigation system used in last year’s model. Furthermore, Fiat is no longer offering the “ePass” program that offered free rentals of gasoline-powered cars. The exterior of the 2016 Fiat 500e is very similar to the regular gas-powered 500 model, but the EV does come with distinctive rear and front bumper assemblies, as well as door-sill extensions, a rear spoiler, and unique 15-inch alloy wheels. Fiat also offers a sunroof as an available option. Exterior color options include Celeste Blu, Rhino Clear Coat, Electric Orange Tri-Coat Pearl Coat, Nero Puro, Billet Argento, Grigio Cenre, Bianco Perla, and Granito Lucente. The FWD 2016 Fiat 500e is powered by an 83-kilowatt electric motor with a rechargeable 24-kWh lithium-ion battery pack, which produces 111 horsepower and 147 lb-ft of torque. 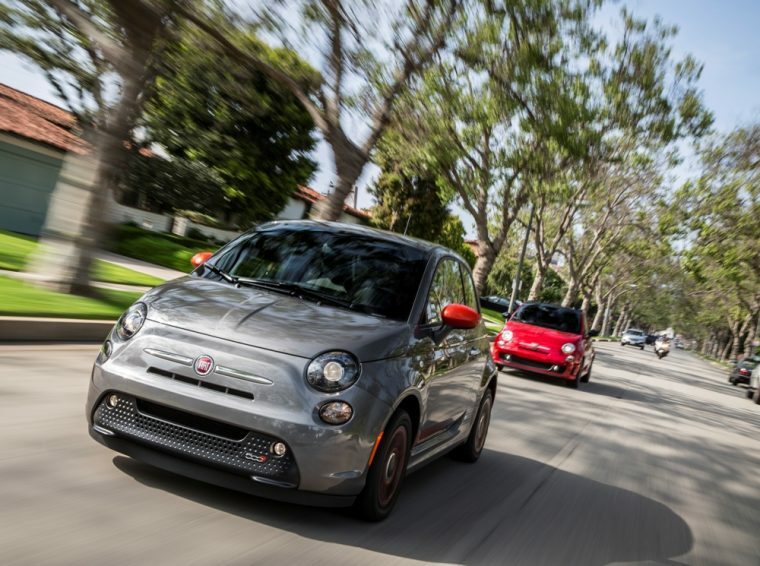 In testing performed by Edmunds, the 2016 Fiat 500e was able to accelerate from 0 to 60 mph in only 8.2 seconds. 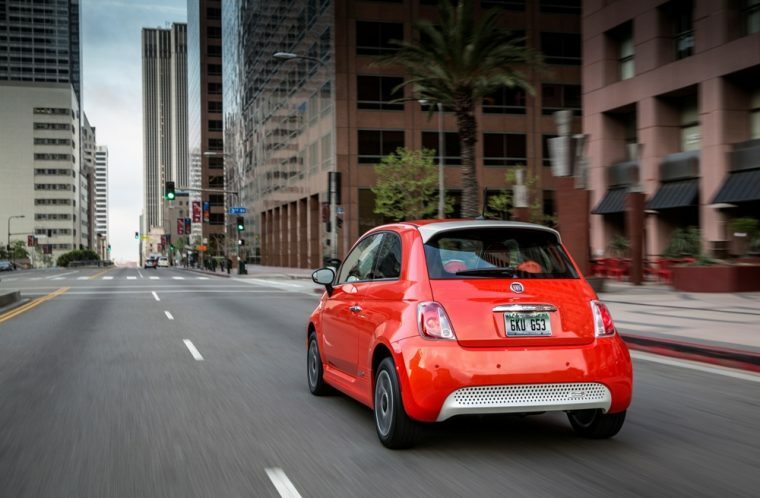 The 2016 Fiat 500e yields an EPA-estimated 122 MPGe in the city and 108 MPGe on the highway. In case you didn’t already know, MPGe specifies the distance an electric vehicle can cover using the identical amount of energy as featured in one gallon of petrol. 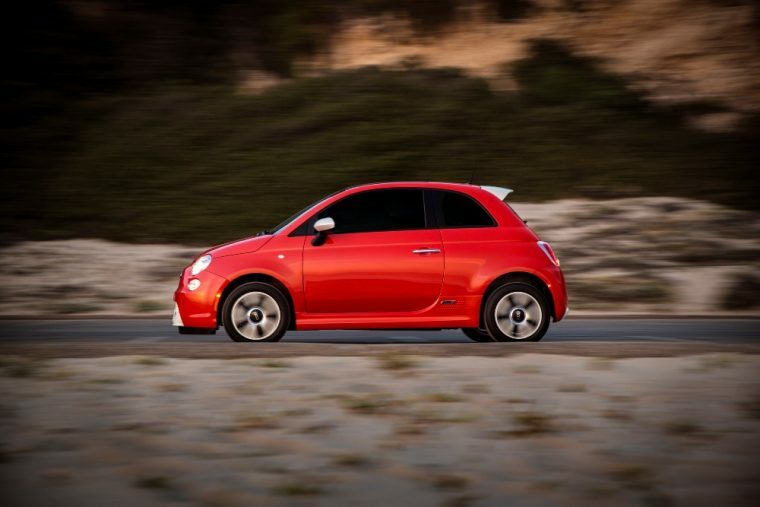 Additionally, the Fiat 500e has a driving range of 87 miles when using just a single charge. The 2016 Fiat 500e comes equipped with a 6.6 kW charger, which can be completely charged in four hours when using a 240-volt outlet. Charging time increases drastically when using a 120-volt outlet. 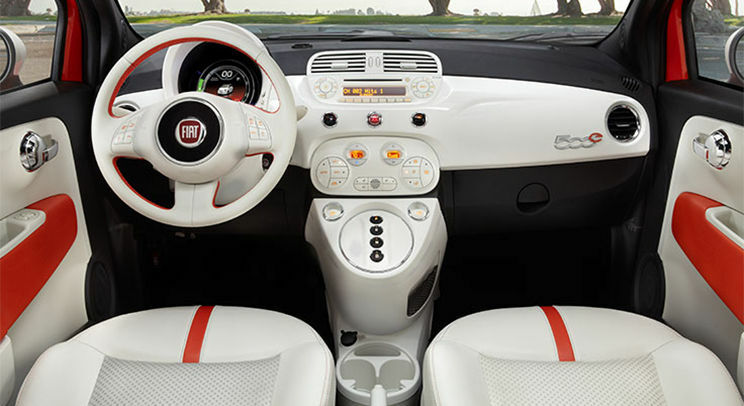 The interior of the 2016 Fiat 500e is both pleasant and attractive, featuring a unique color combination of white and black with orange accents. Standard features include Chrysler’s Uconnect infotainment system with navigation, automatic climate control, premium vinyl upholstery, six-speaker Alpine audio system, and Bluetooth connectivity. Furthermore, the Fiat 500e provides 26.3 cubic feet of cargo space with the rear seats folded down. The 2016 Fiat 500e features antilock disc brakes and rear parking sensors, as well as an audible pedestrian warning system, which uses distinctive sounds to alert pedestrians of the 500e’s otherwise quiet presence.